From the homes running along Foothill Blvd to those up north near Baseline Road to the beautiful homes off San Dimas Canyon Road, from those next to our favorite coffee shop, Caffe Allegro, to those around Heritage Park, La Verne is known for families that care about their homes. That’s why ever since 2008, Mr. Patio Cover has built a reputation of friendliness and professionalism because we care about your homes too! We know that when it comes to rain gutters, seamless are the best choice. We also know that when it comes to gutter installation, our experience and dedication to quality makes us the best choice. We’re state licensed contractos, proud members of the Better Business Bureau, and our customers love us. With us, you’ll find first class service, at the lowest cost, guaranteed. Seamless rain gutters are simply the best way to defend your home from molding and paint damage, as well as eventual structural and landscape damage. Our rain gutters are made from aluminum, not plastic, which means they’ll last for a generation or more. 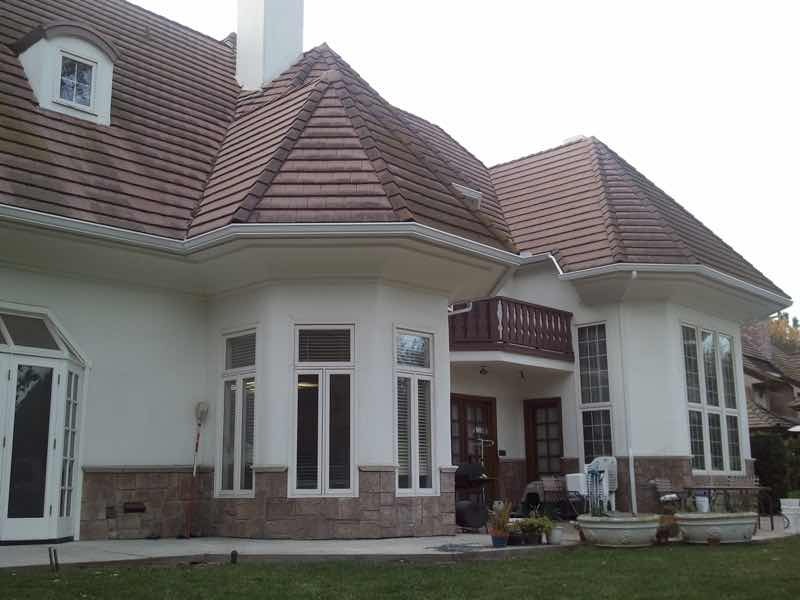 Because each set is custom made on site, they fit the unique shape of your house perfectly. Because they’re seamless, they’ll never leak. And because of the thirty different beautiful colors that are made with baked on enamel, the paint will never chip or fade. All of these benefits come at a surprisingly low cost, and save you and your family both the time and stress of replacement. 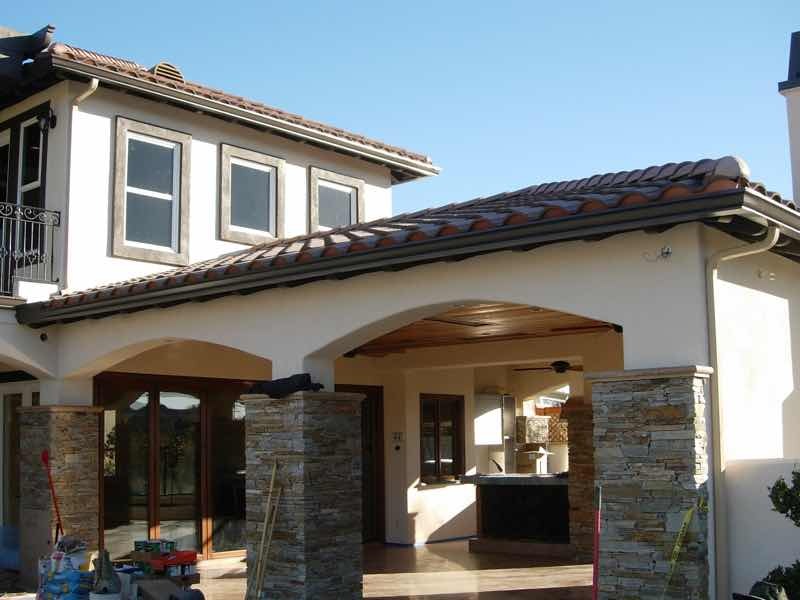 What makes us put such confidence in your needing to choose seamless rain gutters? 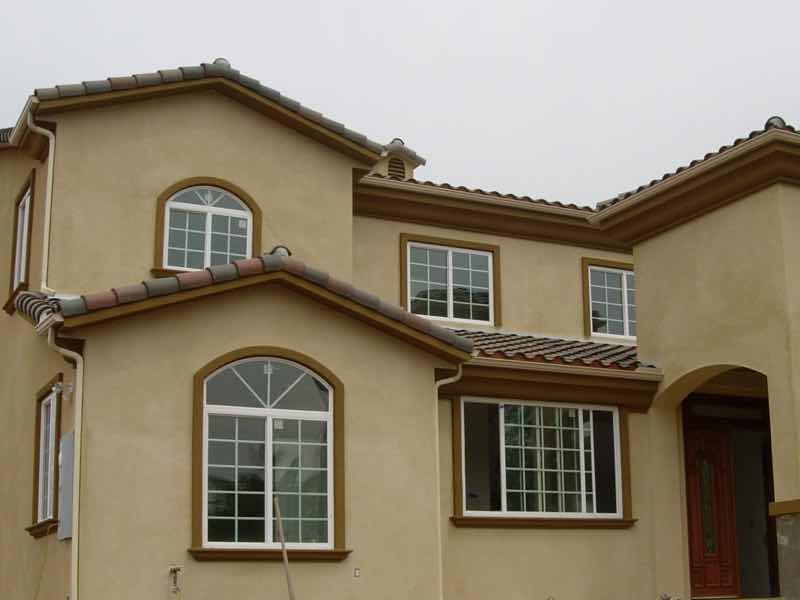 First, our La Verne technicians are trained and state licensed to install them in the very best way possible. Second, we only use registered materials of the highest quality. And third, every set of rain gutters we install is covered by not one, but two bulletproof warranties. The first covers any and all labor. If for whatever reason, we install something incorrectly, we will come back and fix it, right away, at no charge. The second covers the rain gutters themselves. If any defect is found in the materials it’s replaced, no questions asked. Between our commitment to excellent service, and our outstanding lifetime guarantees, you can count on the very best when you choose Mr. Patio Cover.